Back to work: three little words that oil workers have been waiting years to hear. Following a bitter price war with OPEC, oil prices have doubled since 2014 and the now lean job market is about to bulk up. After laying off nearly 200,000 workers, Goldman Sachs predicts the industry will rehire 50 percent of their workforce by next year. 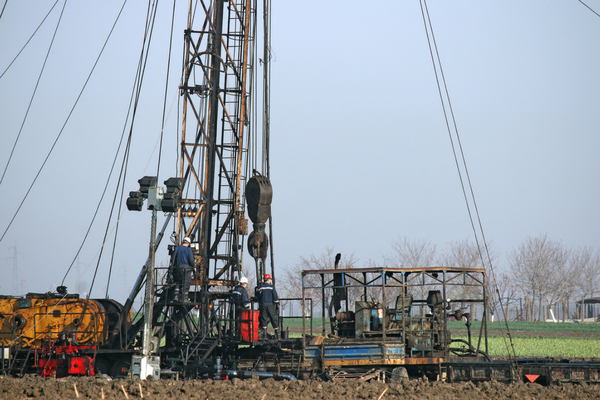 Along with his intention to pour money into the nation's infrastructure, President Trump and Republican Congress members are in full support of the impending drilling boom. In fact, The Bureau of Land Management (BLM) recently sold drilling rights on 278 parcels of public land – mostly in Wyoming and directly controlled by the Federal Government – for nearly $130 million. This bold sale represents Trump’s initiative to bolster drilling on federal lands. With oil prices rising and a predicted 700 oil rigs at the ready, this summer could see each site staffing roughly 135 employees. Employment website Monster.com currently reports over 200 job listings in the field with derrick and drill operators, along with petroleum engineers, topping the category. Workers in oil hotspots like Texas, North Dakota and Colorado are likely to experience the lion's share of this windfall – with jobs in oil and gas paying 85 percent higher than the national average. While the demand for jobs in finance, geology and engineering is notably high, field worker jobs are starting to follow suit. With this massive influx of new employees, business owners in this industry will need a system for keeping track of worker hours and locations. Reliability will be a key factor in choosing a mobile timekeeping system, as these workers are typically in remote locations with a spotty or even non-existent wireless signal. The Timesheet Mobile employee tracking app accurately keeps tracks of vital location information, even with the absence of a signal or when offline. Once a viable signal is detected, the system syncs automatically. This service is provided at no additional cost to Timesheet Mobile customers. While the controversial practice of fracking may have slowed from its initial boom period in the early 2000's, this method of sourcing oil and gas is on the upswing yet again. According to a study performed by the U.S. Chamber of Commerce’s 21st Century Energy Institute, the fracking industry is credited with having created 1.7 million jobs. That number is expected to double over the next 18 years. Not only is fracking contentious due to environmental concerns, but there is also the challenge of keeping workers safe. From 2003 to 2010, 823 fracking industry workers were killed on the job, resulting in a fatality rate that was roughly 7 times higher than in all other industries. Since fracking operations often take place in the middle of the night, the work can be particularly dangerous. OSHA reports that workers in the oil and gas extraction industry are subject to multiple hazards including explosions, fires, falls and getting stuck in confined spaces. Safety must be the top priority – especially in industries where workers often find themselves in precarious locations and situations. From heat-monitoring safety vests to smart helmets, manufacturers are stepping up their technology game to provide significant improvement in their gear. Timesheet Mobile users have access to a feature known as Check Point. Available on both their smartphone app and as an IVR dial-in option, workers can quickly update their location information without logging in or out of a job. Geofencing technology provides real-time visibility of their field location, ensuring their safety and lending peace of mind to employers. It's no wonder this feature has become a critical tool for leading companies in the energy, exploration, construction and security industries. A comprehensive employee time tracking solution can help companies in the energy industry successfully manage the large influx of employees about to join their workforce. With starting at $15 per month, companies of any size can benefit by getting an accurate account of on-the-clock worker hours and locations, all the while keeping them as safe as possible while on the job.